The Alliance of White Anti-Racists Everywhere – Los Angeles (AWARE-LA) is an all-volunteer alliance of white anti-racist people organizing to challenge racism and work for racial justice in transformative alliance with people of color. We take collective action to build white anti-racist and multiracial alliances to contribute to a broad-based, social justice movement. Why do we organize white Folks? For many, it sounds contradictory: “Isn’t it racist if just white people get together? 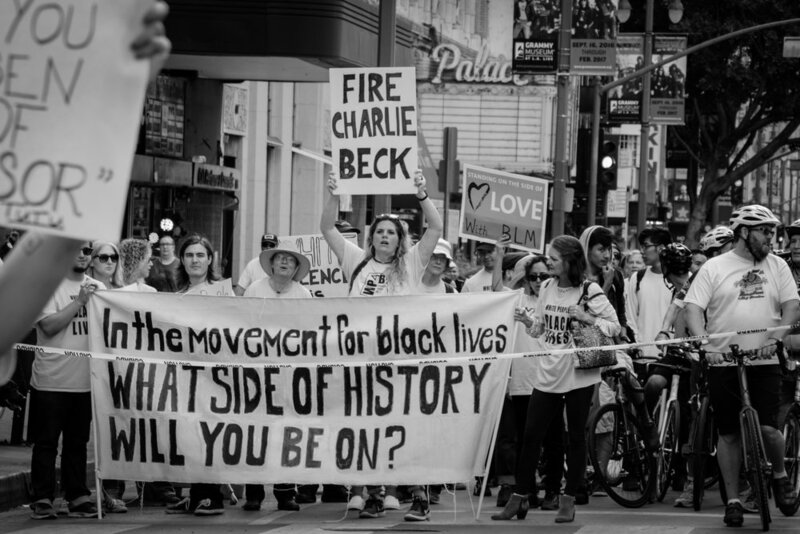 Isn’t that segregation?” Read about what we do and our reasons for organizing as a white anti-racists. Click to find out about upcoming meetings, events, and actions. There are many ways to get involved in our work, from direct actions, to outreach, to political education. Find out more about what we do and contact us to get involved. Learn about our solidarity partners and campaigns we support.